The exhibition Objects That Talk. Evocative Design Stories Central Saint Martins, Window Galleries 20 March – 28 April 2017 brings together a variety of objects and artefacts chosen among current Product Ceramic and Industrial Design programme staff and alumni’s personal collections, telling evocative stories about design where the professional is mixed with the personal. 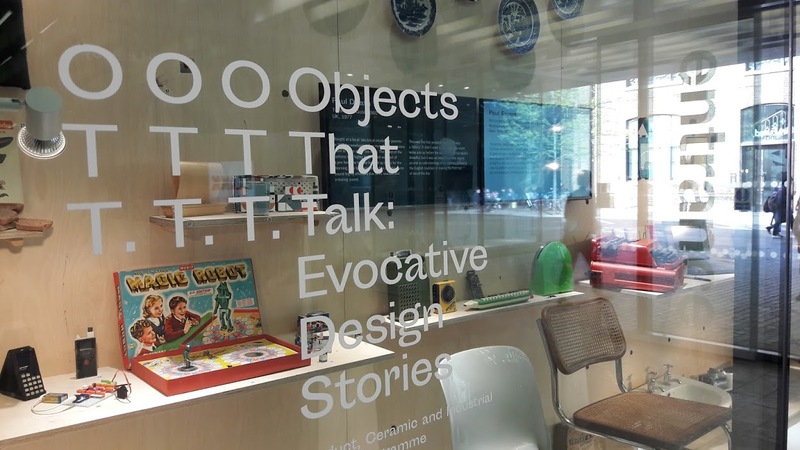 Gathering the stories of 65 weird and wonderful objects, the exhibition offers a glimpse into the personal histories and preoccupations of the contributors, but above all demonstrates our connection to the things with which we live our lives. Curated by Betti Marenko, Paul Sayers and Carla Sorrell.